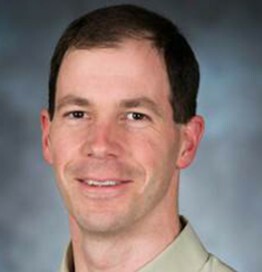 James D. Van de Ven is an Associate Professor at the University of Minnesota in the Department of Mechanical Engineering where he operates the Mechanical Energy and Power Systems (MEPS) Laboratory. Professor Van de Ven received his Ph.D. in Mechanical Engineering from the University of Minnesota in 2006. From 2007 to 2011, he was an Assistant Professor in the Mechanical Engineering Department at Worcester Polytechnic Institute. Prior to joining WPI, Dr. Van de Ven was a Post-Doctoral Research Associate at the University of Minnesota in the NSF sponsored Engineering Research Center for Compact and Efficient Fluid Power. Dr. Van de Ven’s research interests are in efficient energy conversion, energy storage, fluid power, kinematics, and machine design.